Campaigning groups could be key to winning the loyalty of consumers, and especially Millennials (those aged 18-24) because NGOs are more trusted than business, government, or the media to operate in the best interests of society, and 18-24 year olds, out of all age groups, trust NGOs the most. 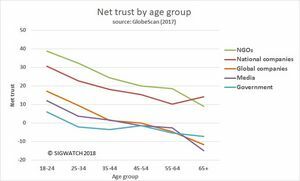 This chart, supplied by our partner, the insights and strategy consultancy GlobeScan, shows that NGOs enjoy a ‘net trust’ of nearly 40% amongst Millennials when polled in 2017.This means, 40% more Millennials trust NGOs than do not trust them. By comparison, only 18% more Millennials trust global businesses more than they do not trust them. Their trust of the media and government is even lower. 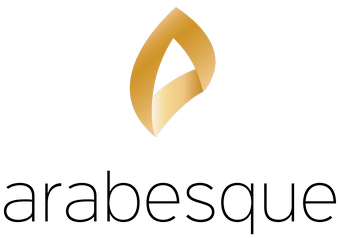 In our view, this means NGOs could be crucial to companies seeking to win the loyalty of the next generation of consumers, especially global businesses which appear to be struggling to communicate trustworthiness.